Every purchase of the New Lakota Dictionary-Pro comes with a Product Key to activate the software. Before you go further, we highly recommend AUTOMATIC ACTIVATION for ease of use. If you chose to activate manually, you will be assigned a Registration Key which can be entered at lingea.eu/act to obtain an Activation Key. 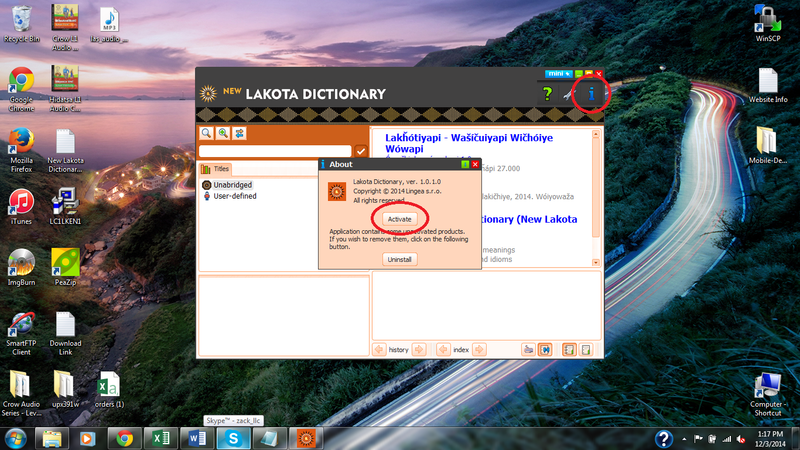 Your Product Key and Activation Key can then be used to fully activate the software. 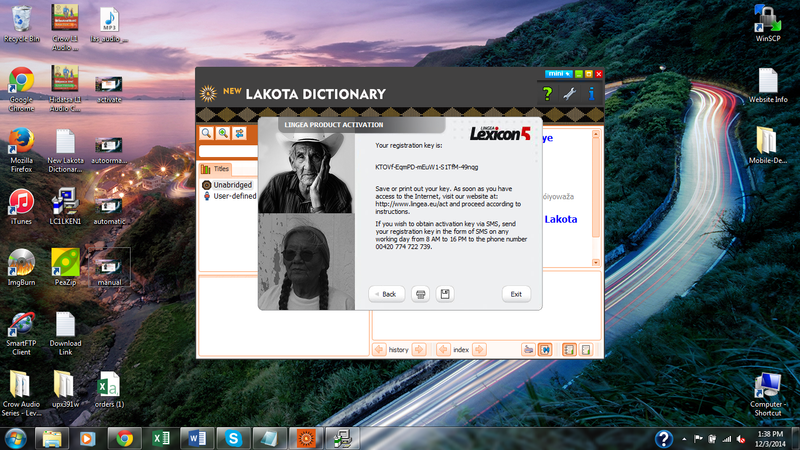 The New Lakota Dictionary-Pro is now activated and you are ready to learn Lakota!